Time is flying by and we have moved on to our next painting from the Summer Art Show Pinterest Board. We chose to view the Van Gogh selections this week and enjoy his wonderful style. After seeing quite a few of Van Gogh’s paintings at the Metropolitan Museum, we now know to look at the painting up close if possible to see how this artist used his brushstrokes to make the painting seem almost three dimensional. 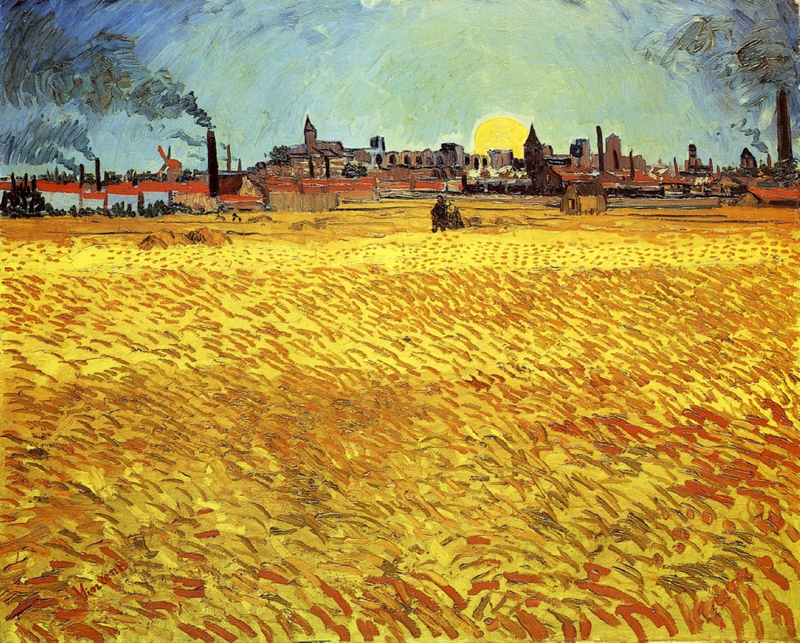 You can easily see the brushstrokes in the wheatfield but if you look closely you can see them in the sky and smoke too. You can use this LINK and then zoom in to see the brushstrokes for yourself. We decided this one looked more like a summertime painting…one that made us feel restful and cool. Again, the sky has those trademark brushstrokes (see them up close HERE). If you have time this week, you could try to paint a sky using tempera or acrylic paints in the style of Vincent Van Gogh. 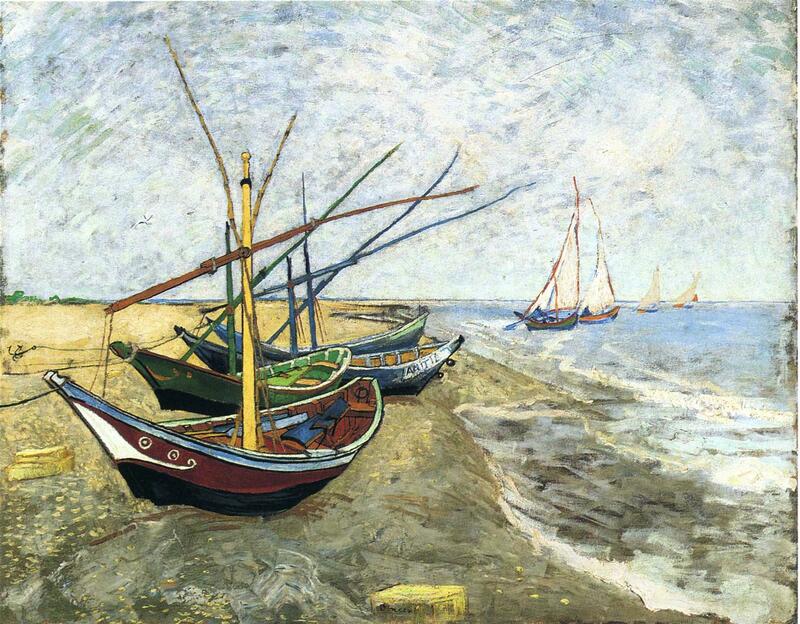 I have also created a simple follow-up notebook page for you to print and use after studying the Fishing Boats on the Beach at Saintes-Maries painting. Some of you have emailed to ask if there are going to be notebook pages for every painting on the Summer Art Show board. Honestly, I am working on these at the same time you are so it will depend on my time and interest as the summer goes by. No promises and I am just taking the study as it comes…picking our paintings week by week with no set order. The Summer Art Show board has several other notebook pages pinned to it for you to use so don’t forget to refer to those as you pick your paintings. Have a great week of art appreciation! Barb, I love the zooming link. You know, I never cared much for Van Gogh until I saw the IMAX film, Stroke of Genius. Now I am a big admirer. I only wish I’d had time to visit the Van Gogh museum on my recent layover in Amsterdam; that was my one regret. Gives me a reason to return! Thanks Barb for linking up! I already pinned it to our Homeschool FreeBEE CoOp Board. Thanks for the great page! Van Gogh is up next for artist study so this is perfect for us.